Are You Selling Your Book Series in a Bundle? Fantastic! Let's Create an Appealing 3D Boxed Set for Them. 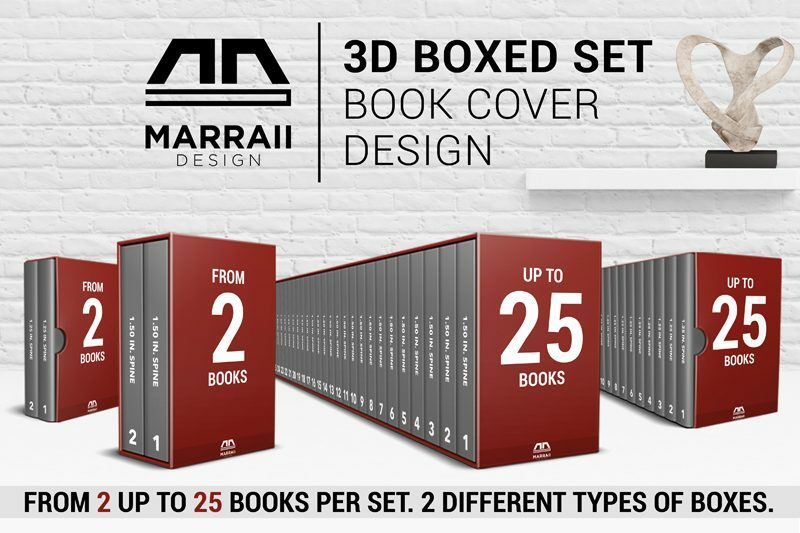 Send your existing 2D front cover for the series, and Marraii Design will convert it into a beautiful 3D BOXED SET of your choice. There are three types of boxed sets to choose from: individual books placed in a hard-box, soft-box, or no box at all (so called thin-box). Hard and soft boxed sets can contain up to 25 books, while thin-box is limited to 12. Please accept marketing-cookies to see YouTube video. The end product matched my request perfectly. Rapid delivery and fantastic quality. 5/5 stars. Highly recommended! I am so in love with the results. Simply Amazing work. Way too good for Fiverr. I will be using again soon! Great work, really happy with this job. Highly recommended! Easy to work with, friendly and amazing box set! Thanks!